With its favorable natural conditions, fascinating history, unique culture and custom, Vietnam is regarded as an attractive destination for international tourists. Its terrains are divided into three component areas, forming three distinguishing culture areas. Among those, the Northern part of Vietnam, with the capital city of Hanoi located in, is notable and famous for many main beauty spot sites of the country. The North of Vietnam is a must-see attraction which should be chosen for paying a visit. A lovely holiday of a lifetime through key destinations in the North of Vietnam. An enjoyable vacation to admire the beauty of the Nature, People, History, Tradition and Culture in Vietnam. Invaluable chance to witness the unique features which only belong to Vietnam like Water Puppet Performance, Bac Ha Market, The Old Quarter of Hanoi. Exotic encounters of interesting activities ranging from kayaking, light trekking into Cyclo riding. 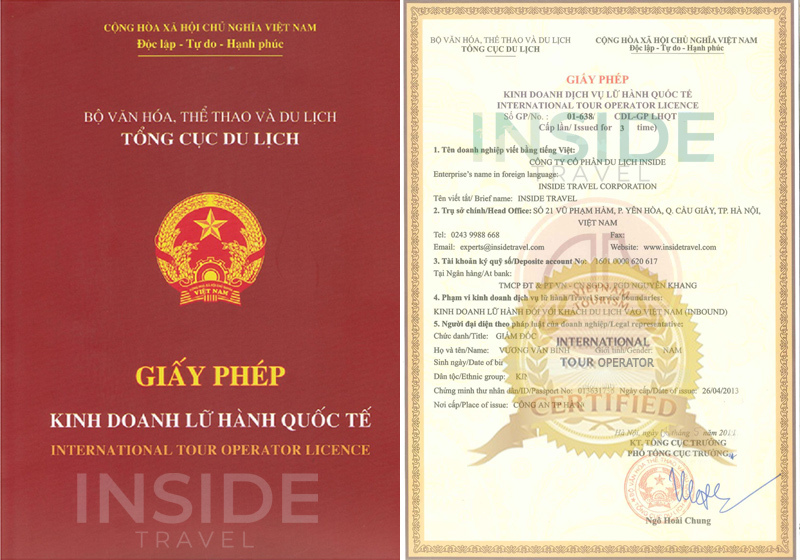 A comfortable trip supported by top-rank facilities like Halong Bay cruise, Hotel in Hanoi, private coach. Finest Northern Vietnamese foods and cuisine. 08.00 AM: After breakfast at your hotel, our tour guide and driver will pick you up and drive about 2.5 hours to Ninh Binh Province. We will visit Hoa Lu, a historical place and associated with the foundation of the Dinh, Early Le and Ly dynasties in the 10th and 11th century. Within an area of 13 square kilometers, the Hoa Lu ancient Capital contains important parts in the history of Vietnam you can visit the Dinh-Le sanctuary, statues of the Emperors. After that, we transfer to restaurant for our lunch. In the afternoon, we take amazing rowing boat to visit Trang An Eco-Tourism area. Trang An Eco-Tourism complex is a home of 600 kinds of flora and over 200 kinds of fauna that many of them in the Red book of Vietnam. It is also a gathering of 31 valleys, 48 cross-water caves and we will visit 3 to 6 of them. On the rowing boat, we can enjoy the fresh air, clean and clear water with under water grass. Experience ourselves the feeling and emotion when we are on the water caves…. After the tour, we will drive back to Hanoi and arrive at your hotel at about 5.30 – 6.00 PM. Overnight in Hanoi. 09.00 AM: After having breakfast at the hotel, you will start trekking 3 kms with our guide to Cat Cat village, to a home of H’mong ethnic people. The road is very easy and interesting route to go trekking in the peaceful sceneries of mountainous area with rice field, waterfall and learning about ethnic minority’s culture while visiting the traditional houses and observing the daily activities of local people. You can have good chance to buy the souvenir and handicraft from the craftmen. In the late afternoon, about 05.00 PM, we will transfer to Lao Cai Train Station to catch a train to return Hanoi. Overnight on train.